You speak Chinese to someone and they reply back to you in English. How does this make you feel? Should you reply back to them in English, or continue speaking in Chinese? 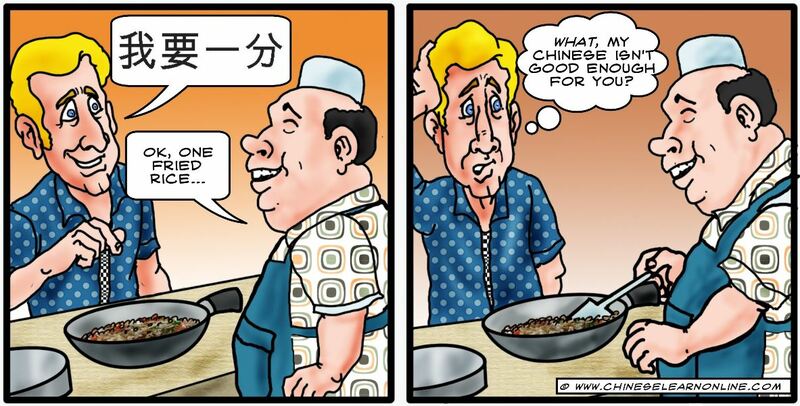 In reality, your Chinese might be perfectly fine. Maybe they are wondering what you think of their English. In the same way you are practicing your Chinese with them, they may be using the same opportunity to speak English with you. Do you ever find yourself learning Chinese for an extended period, without seeing any real progress? 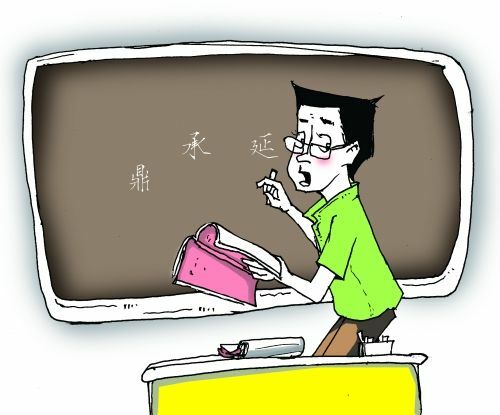 Do you know anyone who has lived in China for several years, but still can’t speak Chinese? Or maybe you’ve been taking classes at an institution for a while, but find yourself still stuck at the same level. The problem in all these cases is that we easily get stuck in our comfort zone when learning. When you move to a new learning environment, there is an initial excitement as you start to learn the vocabulary needed to survive there. Once you get acclimatized though, you find that you know enough vocabulary to survive, without having to learn any more. There isn’t any stress on you to learn anything new, so you’re content at the level you are, without any pressure to learn any more. Surprisingly, many schools and learning programs are content letting you stay in your comfort zones. You would think that students would drop out if they weren’t making progress, but it’s actually the opposite that happens. They get “comfortable” without the stress of learning, yet still feel good that they are making the effort of learning. You may have seen this at your local gym as well. People come in for “workouts”, but use it as a social setting instead, listening to music and chit chatting with friends, while barely drawing a sweat. If the experience becomes too “hard”, then students are more likely to drop out. At CLO, we take the risk of upsetting you by purposely upping the level of difficulty at each level. Some levels have more of a jump in difficulty from one to another (level 2 to 3 for example). Some students quit when the material gets too hard. For others though, who do slog it out, and put in the effort to catch up to the new difficulty level, the benefits are clear. It’s what is required to make clear progress. Are you satisfied with your progress learning Chinese the last few years? 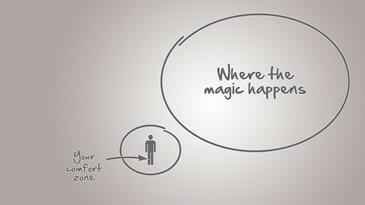 Are you ready to get out of your comfort zone? When you approach someone in a Chinese community, a game of chicken ensures. They hesitate to speak in English with you. 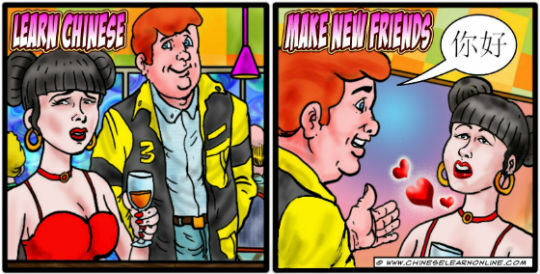 Break the tension by approaching them first, in Chinese! Locals tend to be put at ease when they hear you make attempts to speak their language. However, this also works well in western countries. If you overhear people speaking in Chinese on the street (it is best to confirm that they are indeed Chinese speakers first! ), you can expect surprise, bewilderment and then encouragement (usually in that order) when you try speaking Chinese to them. While it’s common to find westerners who speak Chinese in China, it’s very rare to find ones who do in western countries. So show off what you know and stand out from the crowd!